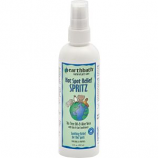 • Specially Formulated To Protect Dogs With A Heavy Infestation Of Fleas, Ticks and Lice. 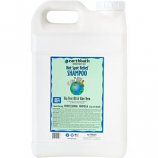 • This Extra Strength Shampoo Will Kill Fleas, Ticks and Lice Fast and Will Leave Dogs Coat With A Beautiful Luster and Scent. 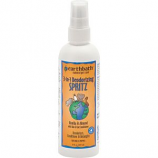 • Protects Against Water Loss Resulting In A Healthy, Nourished Coat That Stays On Your Dog. 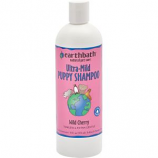 • Ever So Mild Shampoo For A Puppys Delicate Skin and Coat. • It Cleans Thoroughly and Leaves The Coatfresh and Lustrous, Yet Wont Irritate The Eyes. • The Ph Balance Is Compatible With The Natural Ph Balance Of Your Pets Skin and Coat. • Helps Relieve Scaling, Itching, Dry Skin and Derm Atitis. • Results In Healthy, Nourished Skin To Help Stop Excessive Itching. 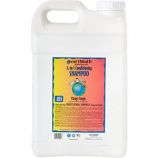 • Tested, Proven and Accepted By Professionals As The Ultimate In Medicated Shampoos. • Aids In The Relief Of Dandruff, Itching, Dryness and Other Types Of Dermatitis. Gently conditions coats while hydrating and softening.. Moisturizes with vitamin e and aloe. Wheat protein strengthens repairs and protects coat. Fresh clean scent for up to 2 weeks. .
A shampoo and conditioner in one that will leave coat and skin looking and smelling better than ever. Mild shampoo adds brilliance and shine while the extra gentle conditioner softens and detangles. Leaves pets' coats incredibly soft and shiny. . .
Shampoo and conditioner in one that will leave your pet's coat and skin looking and smelling better than ever. Mild shampoo adds brilliance and shine while the extra gentle conditioner softens and detangles. Coat will be clean soft and plush. . . Naturally deodorizes conditions and detangles coats. Use between baths to freshen condition and detangle or as a finishing spray. . . . Naturally deodorizes conditions and detangles coats. For use between baths to freshen condition and detangle or as a finishing spray. Not for use on cats. . . Naturally conditions and detangles coats while deodorizing with the fresh botanical fragrance of rosemary oil. Use between baths to freshen condition and detangle or as a finishing spray. . . . Naturally conditions and detangles coats while deodorizing with the fresh botanical fragrance of lavender oil. Use between baths to freshen condition and detangle or as a finishing spray. . . . Adds extra sparkle and brilliance to coats of all colors. Will leave coat soft and plush while bringing out its natural luster and brilliance. . . . Contains sweet orange oil which is an effective deodorizer degreaser and fur stain remover. Helps calm and relieve common skin and itching problems associated with flea bites. Besides cleaning this shampoo will bring out the sheen and natural highlights. . .
Fragrance oils of eucalyptus and peppermint are naturally soothing stress relief. Will leave coat soft plush and refreshingly clean. . . . Formulated to help provide naturally soothing relief of hot spots itching scratching and skin irritation. Use between baths to freshen condition and detangle or as a finishing spray. . . . Mild and hypo-allergenic. Free of any fragrance or coloration. . . .
Neutralizes unpleasant scents and odors. Will leave coat soft plush and refreshingly clean. . . . Effectively detangle enrich and revive your pet's coat. 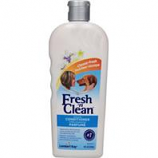 Fragrance free is specially blended for pets with sensitive skin and allergies. Will leave coat soft and plush while bringing out its natural luster and brilliance. . . 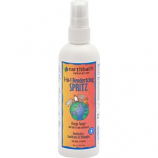 Specially formulated to address the needs of pets with dry itchy skin. Soap free and pH balanced to clean and deodorize safely. . . .
Fragrance free is specially blended for pets with sensitive skin and allergies. 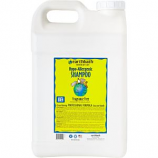 Soap free and pH balanced to clean and deodorize safely. Leaves pets' coats incredibly soft and shiny. . . Specially formulated to address the needs of pets with dry itchy skin. 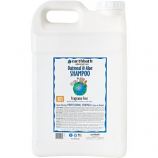 Soap free and pH balanced to clean and deodorize safely. Fragrance free. . . Effectively detangle enrich and revive your pet's coat. Will leave coat soft and plush while bringing out its natural luster and brilliance. . . . Safe for puppies. Use between baths to freshen condition and detangle or as a finishing spray. . . .
Tearless. 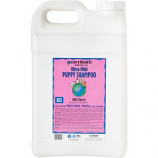 pH balanced for puppies' sensitive skin. Creates a brilliant show quality shine. . .
Softens detangles and enriches coats while helping to reduce excessive shedding and dander. Leaves pets' coats incredibly soft and shiny. . . . Contains organic fair trade shea butter omega-6 fatty acids and extracts of green tea leaf ginseng and awapuhi. 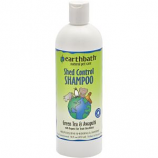 Helps control excessive shedding dander and associated allergens. pH balanced soap free shampoo. . .